Conveniently centered within Marathon is the Marathon International airport. This makes family air travel to Marathon a breeze. While Marathon car rentals are available, often times there's no need because there are many cabs available in Marathon to take you and your family directly to your hotel. Located near these Marathon accommodations are fantastic family attractions. You and your kids can swim with the dolphins, go snorkeling and fishing, scuba dive and even take an aerial sightseeing trip in a biplane or helicopter. Seeing the dolphins play in the center's 90,000 square feet of lagoons is an inexpensive afternoon's family entertainment. If you have a little more money to spend, you and your children may want to take part in the interactive programs. Depending on your familyâ€™s budget (and factors such as age and swimming ability), the Center offers opportunities to swim with, play with, shake the fins of and otherwise get to know these peaceful creatures. Programs popular with families include Shallow Water Encounters, during which children can stand on a platform that is submerged in the water for about 25 minutes of dolphin play. The Deep Water Encounter allows you to jump into the lagoon and swim with the animals. Go for a ride on the popular dorsal tow! Pigeon Key is worth a family visit. The whole family will enjoy exploring this tiny island, which houses a series of cottages that once sheltered workers laboring on Flagler's railroad. Visit the old railroad museum while there, where exhibits of the bridges and cottages' history spotlight the lives of the workers, who labored up to 14 hours a day, six days out of seven. Then, grab your snorkel gear and check out the island's tidal shoreline with the kids.. For families serious about marine science, the Pigeon Key Foundation & Marine Science Center runs day and residential summer camps for children. If you're not up for hiking the Old Seven Mile Bridge, you can get to the island via the Pigeon Key Ferry running from Marathon. Families can visit Crane Point Museum, Nature Center and Historic Site. Located on a natural 64-acre thatch-palm hammock, this facility presents a great view of the area's cultural and natural history. Children will love it. Discover the home of George Adderly, an immigrant from the Bahamas who settled here in the early 1900s. You and your kids can also tour the Museum of Natural History. 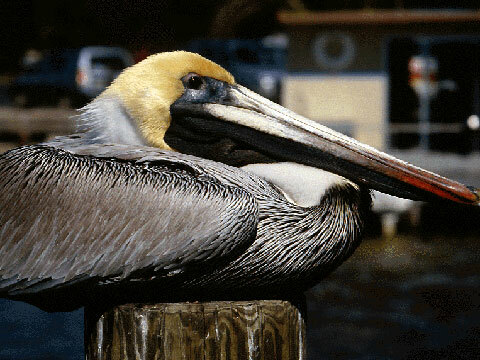 Learn about Florida Keys wildlife and the region's indigenous peoples. Children will especially enjoy exploring a pirate ship built just for them and greeting sea creatures in the Children's Activity Center's touch tanks. For a great day at a family beach that's perfect for soaking up the sun and the crystal clear waters go to Sombrero Beach. Gentle Atlantic surf and plenty of shallow water make this a great family park, as do the on-site childrenâ€™s playground and volleyball court. Finish your day with a family meal at the Keys Fisheries Market and Marina, known for its fresh-fried entrees and a distinctive lobster Reuben sandwich. The place itself is beyond casual: order and pick up your familyâ€™s meals window-side. Chow down at one of the waterfront picnic tables. Adults can enjoy a cold beverage with their meals, and children will love feeding the tarpon right from the docks. Get there around sunset for the full Marathon experience. Marathon has many Florida Keys events throughout the year for you and your family to choose from. One of the more popular family celebrations is the Seafood Festival. Enjoy unlimited seafood by day and retreat in the evening to your Marathon resort, motel, villa or cottage or family campground by the sea. Marathon has a little bit of the best of each of the Florida Keys and Key West. Shopping, Arts, Boating, Fishing, Dining, Diving, and Living. With a wide variety of family oriented hotels, motels accommodations to choose from in Marathon it's easy to see why it's such a popular family travel destination that feels like the Caribbean. Be sure to watch the travel video about the Marathon Chamber of Commerce and the many other videos for more tourist and family vacation information! Also, print the many discounts found on coupons associated with each video. And to make getting there easy, there are even free driving maps as well.